Mrs. Connie King (mother of Phil King '92) was the first person most of us saw as we walked into Loyola Academy, as she worked at the front desk (aka switchboard) near the main entrance. She was always helpful, kind and truly impacted each student at Loyola Academy. She was a great support for all the teachers and staff which allowed us students to be the best we can be. She was always ready with a smile to greet each person. 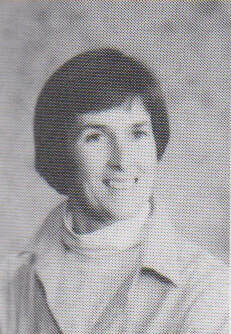 Most important, Mrs. King was kind, encouraging and embodies exactly what Loyola Academy was and is about. Sadly, Mrs. King passed away in 2010. She will forever be remembered for her smile and love of all the students. This site is not affiliated with Loyola Academy, but rather is a project of the 1992 graduating class.